for these processes arise from the features of the monovalent and multivalent binding interactions. As a prelude to an examination of specific multidentate interactions, this section describes the features of monovalent protein-saccharide complexation and the factors that contribute to the high functional affinities observed for many mul-tivalent interactions. The structural features of monovalent lectin-ligand complexes have been elucidated through X-ray crystallographic analysis [1,18-20]. 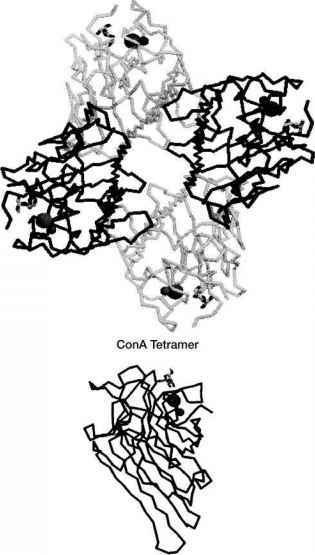 These complexes have helped facilitate an understanding of the energetics of monovalent carbohydrate binding to proteins; they have facilitated structure-based free energy calculations, as well as providing a basis for interpretation of titration microcalorimetry experiments [10,21 -23]. Although proteins can bind carbohydrates tightly, lectin binding sites are often solvent-exposed indentations rather than deep binding pockets. In these shallow binding sites, contacts are made with a limited portion of the carbohydrate ligand (Figs. 1 and 2). Monovalent interactions appear to rely on hydrogen bonding, metal chelation, water displacement and reorganization, hydrophobic contacts, and Coulombic interactions. We will use specific protein-lectin interactions to illustrate these energetic contributions. The density and diversity of stereochemical orientations available to saccharide hy-droxyl groups suggests that hydrogen bonding interactions might play a role in their recognition by proteins. Although the energetic contributions of specific hydrogen bonding interactions are difficult to dissect, the directionality of these interactions is important for recognition and discrimination of saccharide ligands. For example, in the structure of the lectin concanavalin A (ConA) complexed with a-methyl man-nopyranoside, hydrogen bonding interactions occur between the protein and the 3-, 4-, and 6-position hydroxyl groups of the saccharide . There is no direct contact with the 2-position hydroxyl group, and ConA interacts with saccharides of both the gluco and manno configurations. The hydrogen bonding interactions, however, allow the lectin to discriminate between galactose and mannose (or glucose) derivatives. The amino acid side chains as well as the peptide backbone can contribute to recognition (Fig. 2). The side chain amide hydrogen of asparagine 14 can form a hydrogen bond with the 4-position hydroxyl group, whereas the backbone amide hydrogens of leucine 99 and tyrosine 100 are within reach of the ring and 6-position hydroxyl groups, respectively. This structure also illustrates another common feature of lectin-saccharide complexes: many side chains form bidentate hydrogen bonds. For example, the aspartic acid 208 carboxylate oxygens can interact with both the 4- and 6-position hydroxyl groups of mannose. In addition to direct contacts between the lectin and the saccharide, water-mediated hydrogen bonds commonly occur [22,24]. 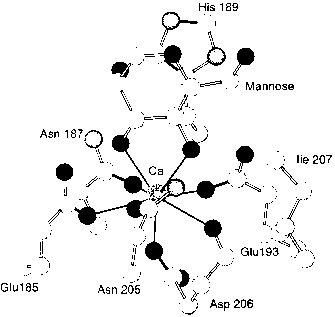 Figure 1 The main chain of concanavalin A as determined by X-ray crystal structure analysis. The homotetramer and monomeric subunits are shown with bound ligand. Figure 2 Concanavalin A binding site showing metal chelation and hydrogen bond networks. saccharide hydroxyl groups act as ligands for the protein-bound calcium ion (Fig. 3). In addition, Ca2+ binding organizes protein side chain conformation to facilitate saccharide complexation . The addition to these metal-cation-dependent lectins of chelating agents, such as EDTA, abrogates ligand binding, a result that emphasizes the importance of divalent metal ions in lectin activity. Lectin binding sites, like the saccharides that bind to them, are amphiphilic. In addition to the hydrogen bonds that are important for orienting saccharides, the binding sites contain many hydrophobic groups that can contribute to saccharide binding affinity. The structure of MBP-A derived from X-ray crystallography illustrates the importance of hydrophobic binding regions complementary to those on the ligand (Fig. 4) . For example, isoleucine 207 is located proximal to the 6-position methylene group of mannose, which should result in favorable van der Waals contacts. In many lectin-saccharide complexes, aromatic residues have been found to pack against one or more faces of the saccharide . In the structure of MBP-A, the side chain of histidine 189 is near the 4-position C—H and 6-position O—H bonds, suggesting that interactions between the aromatic residue and nonpolar areas of the saccharide contribute to mannose binding in this system. 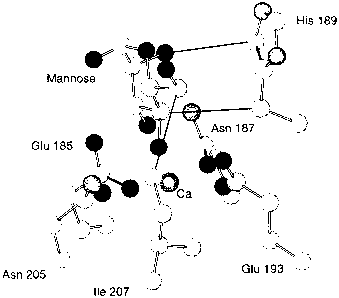 Figure 3 The mannose binding protein A (MBP-A) binding site, featuring calcium coordination to protein side chains as well as the 3- and 4-position hydroxyl groups of mannose. 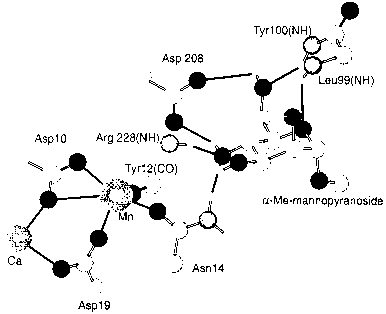 Figure 4 The mannose binding protein A (MPB-A) binding site featuring van der Waals contacts with the mannose ligand. saccharides . For proteins that bind sulfated polysaccharides such as heparin, salt bridges have been observed between positively charged lysine and arginine side chains and the anionic sulfate and carboxylate groups of the saccharide . In contrast, some lectins bind anionic ligands without formation of salt bridges. For example, in the structure of sialic acid bound to influenza virus hemagglutinin, the carboxylate group of sialic acid hydrogen bonds to water and to a backbone amide proton . Structural studies of the protein-saccharide complex in a related example, an MBP-A variant that binds the tetrasaccharide sialyl Lewis acid x (sLex) , also revealed that interactions between the protein side chains and the anionic carboxylate of sialic acid occurred indirectly rather than through a direct salt bridge. The ability of water to act as both donor and acceptor of hydrogen bonds makes it an excellent mediator in protein-carbohydrate complexes. Results of numerous X-ray crystallographic studies of protein-carbohydrate complexes attest to the pervasiveness of water-mediated hydrogen bonds in protein-carbohydrate interactions. Lectin-bound water molecules are proposed to act as an extension of the protein surface itself . 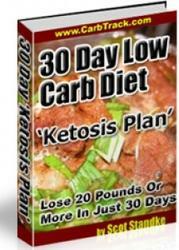 This idea is supported by the fact that water molecules occupy conserved sites in the structures of related lectins . In addition, water molecules can mediate similar hydrogen bonding interactions in the complexes of different proteins with a specific carbohydrate ligand or in complexes of the same lectin with different saccharide ligands . The energetic contribution of water to carbohydrate binding is controversial. From crystallographic and thermodynamic data and molecular modeling calculations, Lemieux [21,22] and Toone  have speculated that changes in hydration are a driving force for carbohydrate binding. 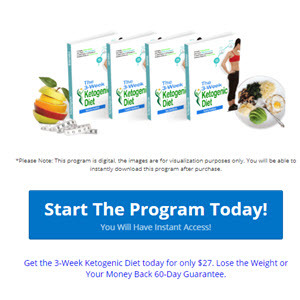 They postulate that because carbohydrates and their binding sites are amphiphilic, an advantageous reorganization of water occurs upon binding. To gather experimental support of the importance of hydration in binding, Lemieux's research group has generated oligosaccharide derivatives with polar groups attached to positions outside the binding site. These modifications, which should not disrupt critical binding interactions but do alter the saccharide solvation shell, affect ligand binding [22,30]. Most of the changes in saccharide solvation were detrimental to binding, a result that underscores the significant and impalpable role of water in carbohydrate-protein complexation. Saccharides constitute one class of biologically important molecules whose function depends on multivalent presentation. In physiological settings, saccharide epitopes are not usually encountered in isolation, but rather in multivalent arrays. For example, high ligand density glycoproteins can serve as scaffolds for the presentation of sac-charides. Alternatively, saccharides can be displayed in multivalent arrays through glycolipid clustering. Moreover, many saccharide binding proteins are multivalent because they form oligomeric quaternary structures or are present in multiple copies on a cell surface. To understand carbohydrate function, therefore, we need insight into how multivalent saccharide presentation affects recognition. Natural systems rely on assembling multiple weak monovalent binding events into multivalent arrays, and this strategy can lead to enhancements in the strength and specificity of the subsequent interaction. The importance of ligand multivalency, which is also referred to as the "cluster effect'' , is widely recognized, but additional investigations are required to understand the increases in activity that are observed. Several types of interaction that can augment the observed activities of multivalent ligands are discussed in the following sections. Because of the difficulties associated with dissecting the mechanisms that contribute to the activity of a multivalent ligand, we use the term ''functional affinity'' to refer to the measured activity of a particular ligand. Functional affinity is a descriptor that has been used in studies of antibody-antigen interactions, which are also multivalent. Functional affinity is useful for the purposes of comparing monovalent and multivalent ligand activities because it describes a measurable quantity: the apparent association constant (or inhibition constant). The conditions under which an assay is conducted, however, must also be carefully considered. Many multivalent binding events, both in vivo and in vitro, do not occur under equilibrium conditions. Thus, the functional affinities of multivalent ligands can vary between assays, even when those of their monovalent counterparts do not (see Section III).